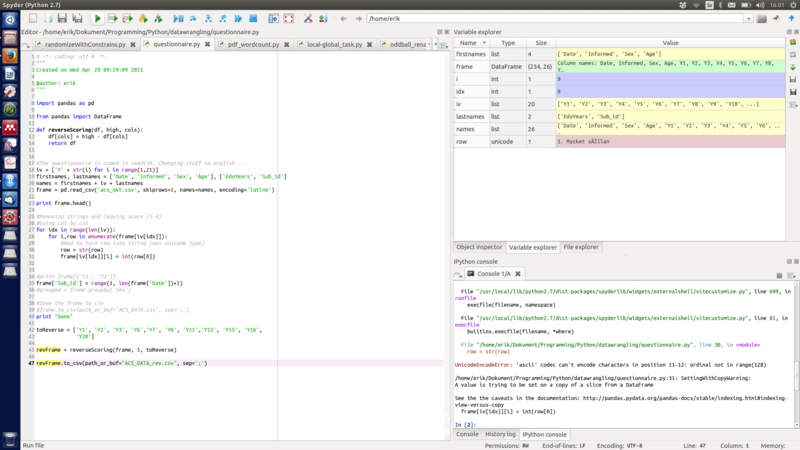 Spyder is the best Python IDE that I have tested so far for doing data analysis, but also for plain programming. In this post I will start to briefly describe the IDE. Following the description of this top IDE the text will continue with a discussion of my favorite features. 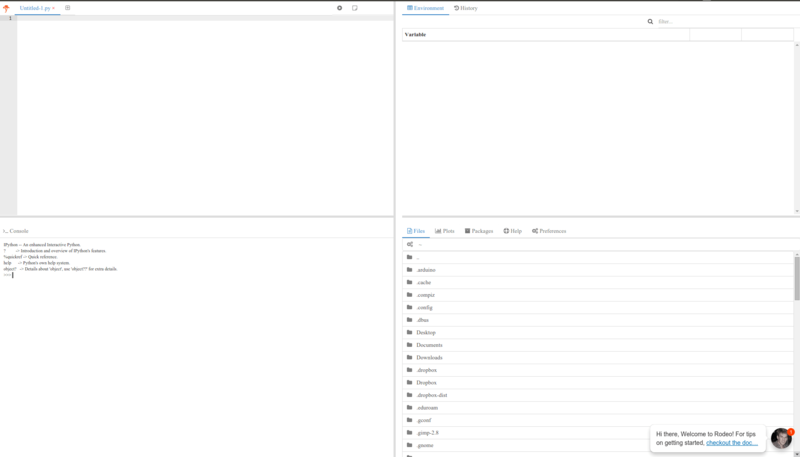 You will also find out how to install Spyder on Ubuntu 14.04 and at the end of the post you will find a comparison of Rodeo (a newer IDE more RStudio like) and Spyder. When I started programming in Python I used IDLE which is the IDE that you will get with your installation of Python (e.g., on Windows computers). I actually used IDLE IDE for some time. It was not until I started to learn R and found RStudio IDE. I thought that RStudio was great (and it still is!). However, after learning R and RStudio I started to look for a better Python IDE.